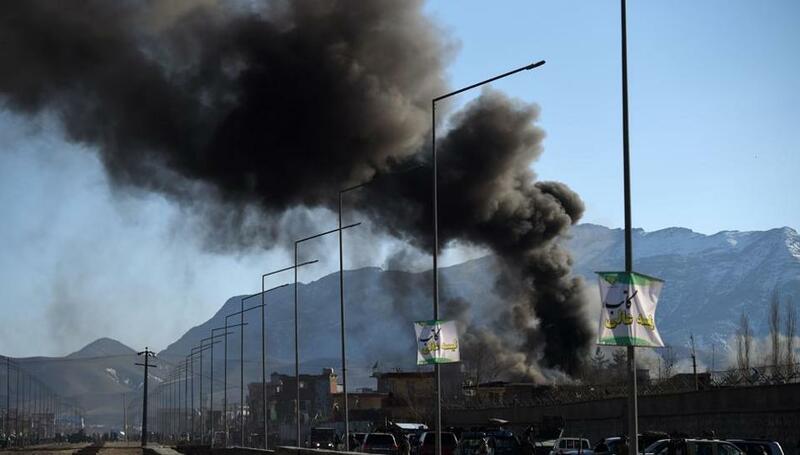 MAZAR-E SHARIF: Dozens of Afghan police were killed or wounded in heavy fighting in northern and central provinces overnight, officials said on Tuesday, just days before parliamentary elections which the insurgents have promised to disrupt. The latest fighting came despite increasing signs of moves toward possible peace talks and followed a meeting in Qatar last week between Taliban officials and Zalmay Khalilzad, the new US special envoy for peace in Afghanistan. In the northern province of Samangan, 11 police, including the province’s deputy police chief, were killed and 30 wounded when Taliban fighters attacked security checkpoints in Dara-e Sof Payeen district, said Naqibullah Tataar, a member of the provincial council. In the central province of Daikundi, hundreds of Taliban fighters equipped with heavy weapons attacked checkpoints in Kajran district and fought an hours-long battle in which eight Afghan soldiers and five police were killed, Ali Akbar Nateqi, the provincial governor’s spokesman said. The Taliban’s main spokesman, Zabihullah Mujahid, claimed responsibility for both attacks, saying 30 police were killed in Samangan province and 19 killed in Daikundi, with large quantities of weapons and equipment and captured. Although the latest attacks had no apparent direct link with Saturday’s elections, they underlined the strength of the Taliban who control large areas of the countryside and earlier this year overran the major city of Ghazni. The United States has said it is willing to take part in talks but insists that the process must be led by the internationally recognized Afghan government, which the Taliban regard as an illegitimate regime imposed by foreign powers.